Continuing care retirement communities are gaining in popularity as alternatives to home or nursing home care. A recent report released by the Government Accountability Office outlines some of the challenges these communities face, given the current economic climate. Continuing care retirement communities (CCRCs) consolidate a range of services, from housing to full nursing care, into one facility. Generally, CCRCs offer a guarantee of lifetime care, which is an attractive option for many seniors. The facilities often require sizable entry fees, however, in addition to monthly rent. Many seniors must sell their homes in order to afford the entry fees, making them dependent on the financial stability of the community for their long-term care. If a community is forced into bankruptcy, residents could lose their deposits to the community’s creditors, leaving them few options for continued care. While the report acknowledges that few communities have failed, it also notes the strain a challenging real estate market and low occupancy rates have placed on some communities. CCRCs are not federally regulated, and states have varying degrees of financial oversight and consumer protection. The report looked closely at regulations in eight states, including New York. 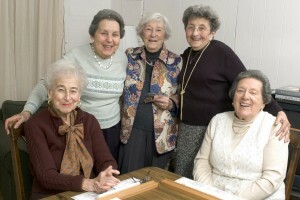 The report, entitled “Continuing Care Retirement Communities Can Provide Benefits, but Not Without Some Risk,” can be read and downloaded at the GAO website: http://www.gao.gov/products/GAO-10-611.